A few weeks ago, a commenter and I had a spirited conversation about cover songs. He suggested that I take a stab at doing an 11 Best Cover Songs feature. This was certainly something that crossed my mind when I conceived the feature, so why wait any longer? 1. The cover has to appear on an LP proper. No bootleg live performances, no bonus tracks. 2. The cover has to appear in the sequence of a album largely comprised of an artist's original material. So no tracks from tribute albums or compilations. Why these restrictions? Aside from the aforementioned need to pare down the entries, I think it's a feat for a musician to reinterpret a song to an original end, without it seeming like too much of a fanboy moment or a publicity stunt. If done right, the novelty factor boils away after a few listens and the track becomes as crucial to the album as any. And that, by the way, is the ultimate reason for the parameters. I'm such a huge fan of the album experience that I have to give particular credit to those who are able to not only do the song justice, but again, harness is quality in such a way that it contributes to the greater work. Admittedly, after adopting these guidelines, I found myself facing the opposite issue. Can I dig up 11 albums that contain worthy cover songs? The answer, thankfully, was yes, and that even excludes Jimi Hendrix's "All Along the Watchtower" which would have just been too easy. One big thing: This month's 11 Best will not be in any particular order. 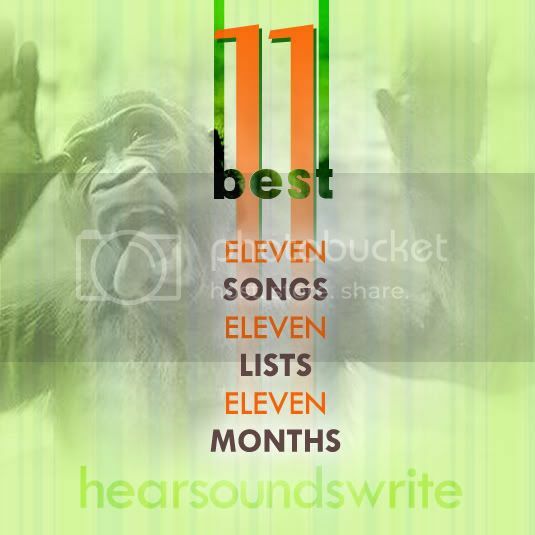 My pool of potentials was so small, I can't in good conscience call them "11 Best". So think of this month's feature as "11 Good Examples of A Particular Subject". There will be three posts, comprised of four, four, and three songs respectively. But no winner, per se. These are the first that sprung to mind, but there obviously exist a host of others. Feel free to post your favorites. Look for the first entry in the not-too-distant future!